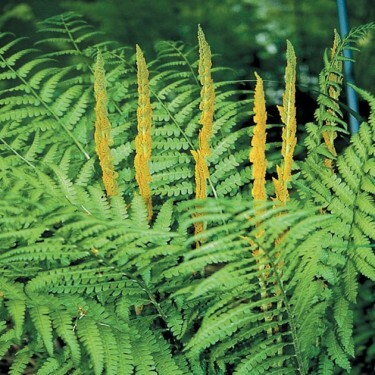 Cinnamon Ferns do not actually produce cinnamon; they are named for the interesting spore-bearing fronds that shoot out from the centre of the clump, turning a rich cinnamon-brown colour. 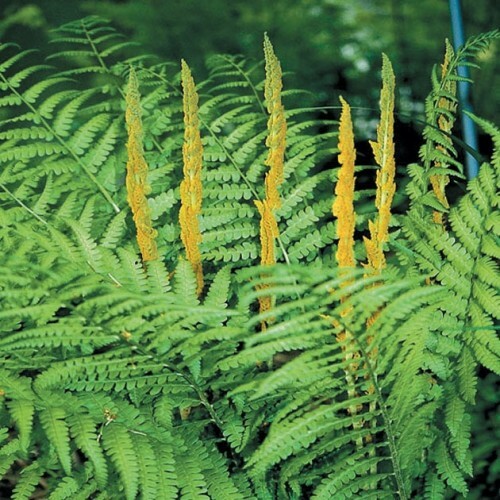 This perennial fern prefers moist woodland conditions and can tolerate dark shade. It is an excellent choice for wet areas along ponds, streams, water gardens or in bogs.